Nearly 60 per cent of Canadians feel the company behind the contentious Trans Mountain pipeline expansion could have done more to earn public support for the project, a national poll says. Almost 60 per cent of Canadians feel that the company behind the contentious Trans Mountain pipeline expansion could have done more to earn public support for the project, which has become mired in inter-provincial squabbling and stiff opposition from environmentalists, a national poll says. Part two of the survey conducted by the Angus Reid Institute found that, by a ratio of 58 per cent to 20 per cent, Canadians believe that Kinder Morgan brought much of the current conflict upon itself. This view is held by 70 per cent of the project's opponents and 56 per cent of its supporters, the poll says. "Many opponents — including Grand Chief Stewart Phillip, president of the Union of British Columbia Indian Chiefs — claim that Kinder Morgan did not attain 'consent or social licence' from British Columbians and Indigenous peoples for this project, which has led to conflict and delays," Angus Reid said in a release. The polling firm says another key finding is that the debate over Trans Mountain has grabbed the country's attention, with more than half of respondents saying they are paying close attention — including majorities in every region but Quebec. Angus Reid also says the survey found that 60 per cent of Canadians view protesters aligned against the project as representing a fringe view. 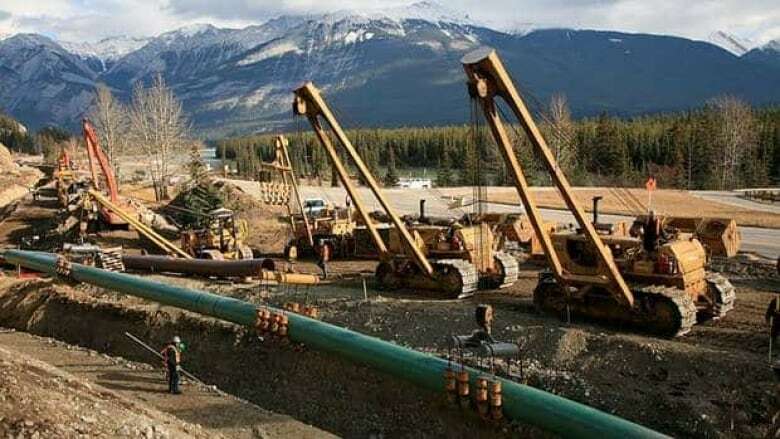 Poll results revealed last week suggested a growing number of British Columbians support the pipeline expansion project even as their leaders stand firmly opposed to it. Support for the Kinder Morgan project has risen to 54 per cent in B.C., according to the Angus Reid Institute. That's up six per cent from February. The poll found that those in favour are spread across the province, with about half of respondents in Metro Vancouver and on Vancouver Island saying they would support the project. Support rises to 60 per cent in the rest of B.C. The poll was conducted with 2,125 Canadian adults last Monday and Tuesday. The poll's probability sample with its sample plan would carry a margin of error of +/- 3.0 percentage points, 19 times out of 20. The institute said discrepancies in or between totals are due to rounding. Earlier this month, Kinder Morgan announced it was stopping non-essential spending for the project. The company gave Prime Minister Justin Trudeau's government until May 31 to give a clear signal the project will proceed. The existing Trans Mountain pipeline has carried oil from near Edmonton to a marine terminal in Burnaby, B.C., since 1953. The $7.4-billion expansion project would nearly triple the existing 1,500-kilometre pipeline's capacity from 300,000 barrels of oil per day to 890,000. The pipeline would pump Alberta bitumen from its Sherwood Park terminal to tankers docking at the expanded Westridge Marine Terminal in Burnaby, which would get three new berths.